Step 1 Divide the ricotta into four equal portions and form into disks about one-half- to three-fourths-inch thick. Dip in the egg. Dredge in the flour, and sprinkle generously with salt. Step 2 Pour the olive oil into a small (8-inch) skillet and heat over medium-high heat until a pinch of flour sizzles when dropped in the pan. Slide the ricotta disks into the oil and fry until golden brown, about 1 minute. Carefully turn and cook the other side until golden, about 1 more minute. Remove and place on a paper towel to drain for a few moments. Serve warm. In Recipes-list.com we have selected the most viewed recipes from category - Appetizers Vegetarian . Enjoy the best recipes specially selected for you! 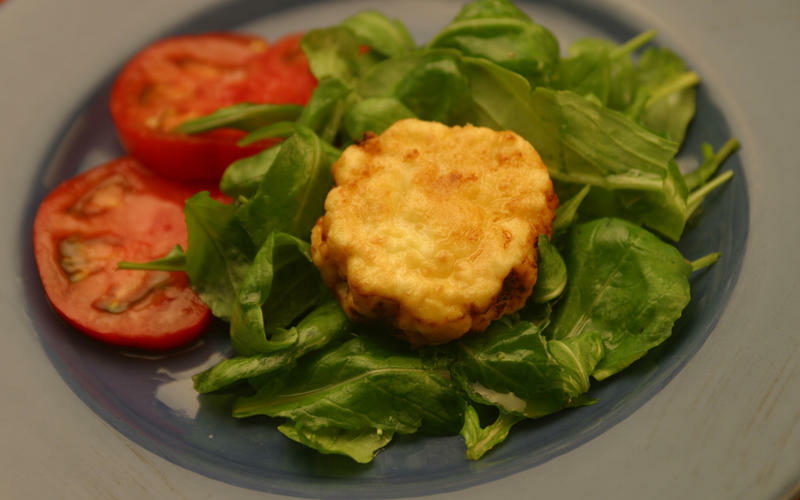 Fried ricotta is the right choice that will satisfy all your claims.